BlueStacks unveiled its App Player alpha version allows you to run Android apps right on your Windows PCs and tablets. The App Player alpha version currently comes with pre-installed 10 apps and extra 32 downloaded Android apps. Meanwhile, BlueStack Cloud Connect allows you to sync Android apps from Android phone to its App Player. BlueStack App Player alpha is free to download and just announced 400,000 Android apps will be coming to Windows 8 in 2012 with it App Player. 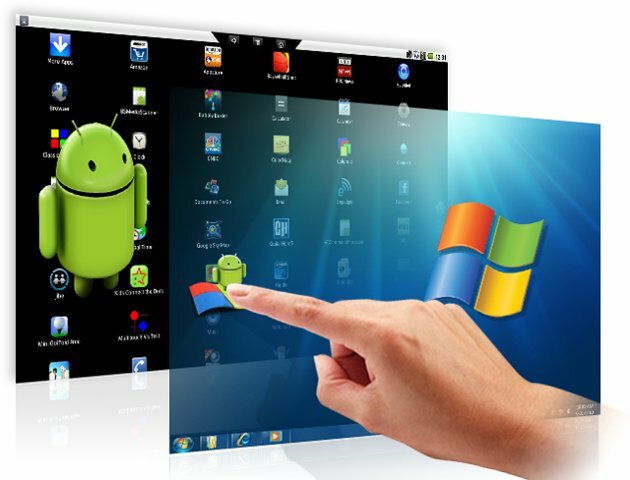 Amazing free software that allows Windows users run Android apps on computers, phones and tablets! Keyables by Mok is licensed under a Creative Commons Attribution-NonCommercial-NoDerivs 3.0 Unported License. Based on a work at www.keyables.com. Copyright 2011-2016 © Keyables. Powered by Blogger.